Thousands of roofs will be replaced in the coming months in the Northfield area as a result of the August 24 hail storm, mine included. These will include not only residential roofs, but also the roofs of many larger commercial, industrial, institutional and public sector buildings. Many badly damaged roofs are already in the process of being replaced, but some of us have yet to begin work, or have more lightly damaged roofs and the luxury of being able to be more deliberative about what kind of roofing material/system is used. 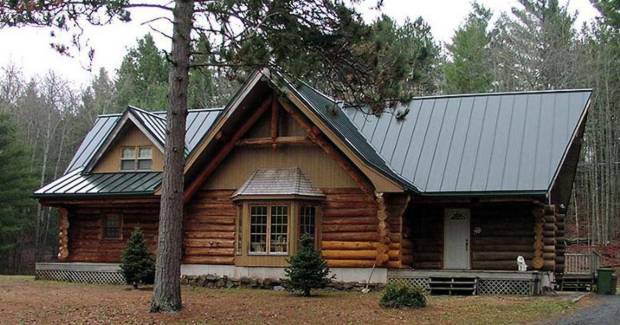 I have fielded several inquiries from folks interested in knowing about “greener” roofing alternatives (i.e. roof systems with lower embodied energy; systems with the EPA’s Energy Star rating; more durable systems; roofing materials made from recycled products and/or recyclable at the end of their useful life; etc.). 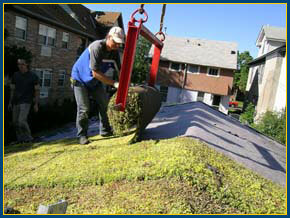 A good primer on greener roofing options can be found in the February/March 2005 issue of Mother Earth News. 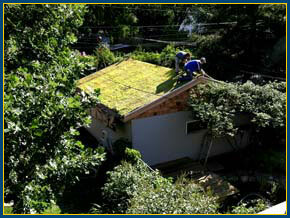 I’ve given myself a crash course on this subject over the past week or so, and hope to organize a workshop on greener roofing alternatives within six weeks or so. For homeowners, there are numerous alternatives. The first thing to recognize is that not even all asphalt shingles are created equal, as some are much more durable than others, and there are other quality differences. There are also many alternative products to consider. All are likely to be more expensive than asphalt shingles in terms of first cost, but could have a much lower life-cycle cost due to lower maintenance/replacement costs and lower heating and cooling costs. Green roof on my detached garage (and possibly front porch and small side entry roof), similar to that done by Kestrel Design Group as a demonstration project for the Marcy-Holmes Neighborhood Association in SE Minneapolis. 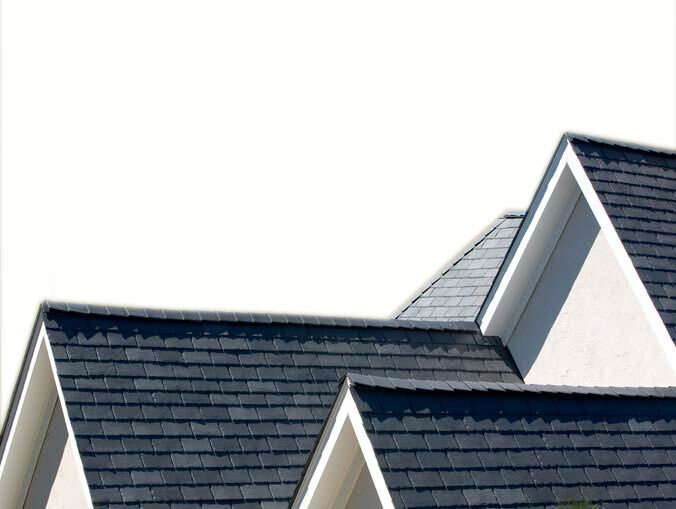 Another possibility I am considering is a long-lasting, lightweight faux slate roofing product made from recycled EPDM rubber, such as Majestic Slate. There are other interesting roofing products made from recycled/recyclable materials, such as the Eco-Shake, which is made of 100% recycled materials, carries a 50-year warranty, and resembles wood shakes. For commercial and other large buildings, there are numerous similar interesting options, and again many may be more cost-effective in terms of life-cycle cost than more traditional roofing products. Stay tuned for a possible workshop on this subject.